Improving the rescue cage even more by installing a Fire hose reel in the aerial platform. The fire department will have access to a vast amount of water to be used in the extinguishing process. Low weight, space efficient and robust was to key to fulfill the project requirements. 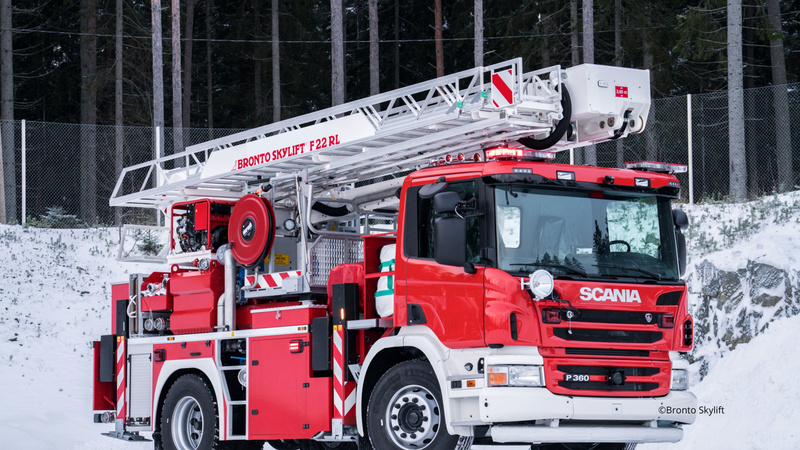 Bronto Skylift wants to supply their aerial fire fighting platforms with an integrated supply of electricity, compressed air, breathing air and water. By installing a fire hose reel in the rescue cage the fire department will have access to a vast amount of water to be used in the extinguishing process. The most important criteria for the of hose reels are light weight, as well as robustness to withstand the vibration and movement caused by the vehicle. 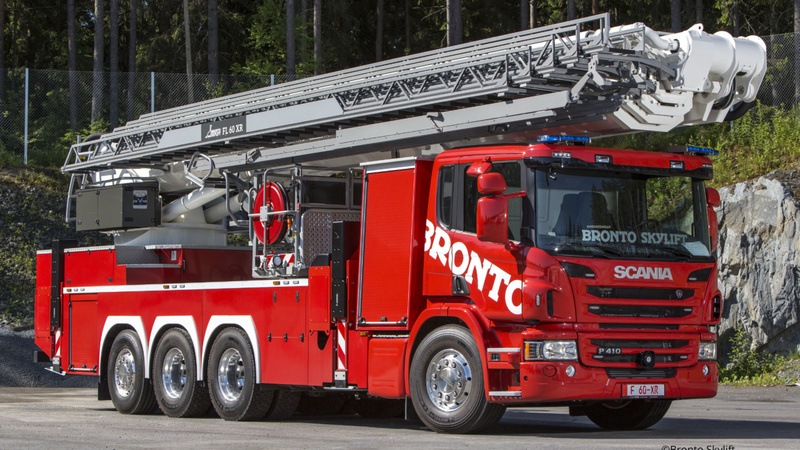 Bronto Skylift is a global market leader in truck mounted, hydraulic aerial platforms, and their includes aerial platforms for fire and rescue purposes as well as industrial access. Bronto Skylift headquarter is in Finland, and they supply high quality equipment to customers around the world. Safety and quality are key values in Bronto Skylift aerial platforms. 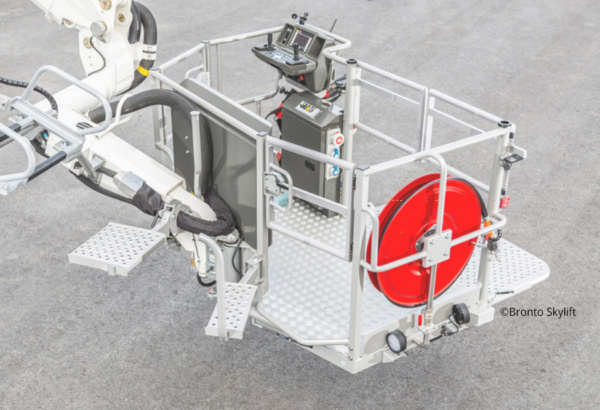 For hydraulic aerial platforms, NOHA has delivered a version of the bespoken offshore Hose Reel S11. This is built to withstand wear and tear and has a very rigid construction. In some aerial platforms, the hose reel is installed with a basket around, to be extra crash resistant. 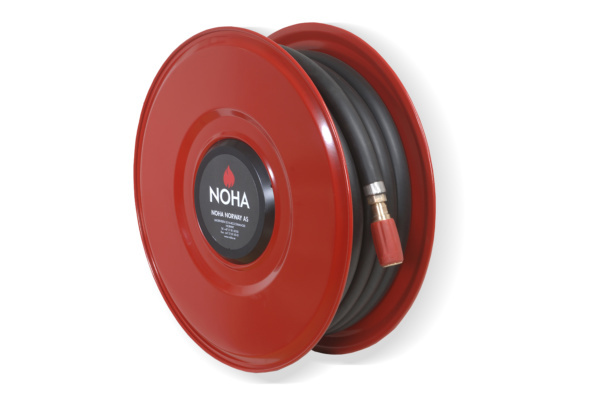 While reliable and robust, we have also made this NOHA Hose Reel more slim and lightweight than many competing products, making space for the emergency response crew and injured personnel. The customer has chosen NOHA because we could meet the strict requirements for customized solutions and we had experience with similar assignments. We have had a close dialogue with the customer to find the right product and price picture and have provided 3D drawings and documentation at all stages of the process. Fire trucks with NOHA Hose Reels are delivered for use in many places in the world, including the Netherlands and Finland.